There is likely a quote that perfectly encapsulates the feeling that taking the lesser known path has made the traveler much richer for their experience. 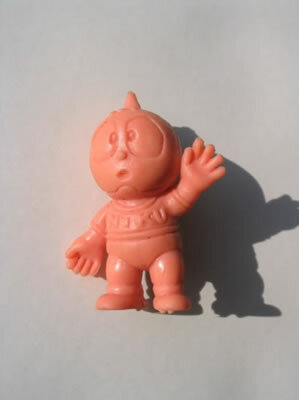 With the comparably limited number of M.U.S.C.L.E. websites on the internet collectors often have no choice but to traveler the lesser known path. So, as stated in the side-bar over there, and probably elsewhere, everything posted on this blog, and included in all Junk Pirate zines, has been willingly donated to the Junk Store where I work as my “day job”, sorting piles of junk for resale or reuse and occasionally finding interesting tidbits to photograph or photocopy. “Made with and from items donated to the Junk Store”. And as far as I know, nobody has ever donated an item with the intention of it being used in Junk Pirate. I have, however, received specific contributions to Junk Pirate from friends or fans. Usually these are giving to me directly or mailed to me (often from prison). These I politely decline, or just ignore (occasionally I might keep them for my own personal found art stash), but they don’t qualify as Junk Pirate material because they weren’t donated to the Junk Store. These rules combined with the the appearance of M.U.S.C.L.E. figures likely make this blog entry equal parts encouraging and frustrating. Had the author simply shared his emotinal/first impression, like in the first paragraph, the score would have likely been higher – less would have been more. The design of the website is clean and simple. The links on the right side take you to some interesting websites. The search function also seemed to work incredibly well. This received a 5 for two reasons: (1) they are original pictures of the actual items; and (2) there are not any pictures from other websites. 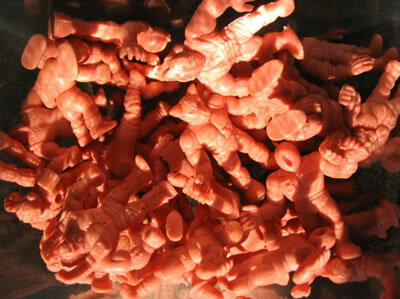 Aside from a better picture of all the found figures, which would only interest M.U.S.C.L.E. collectors, the pictures perfectly serve their purpose. 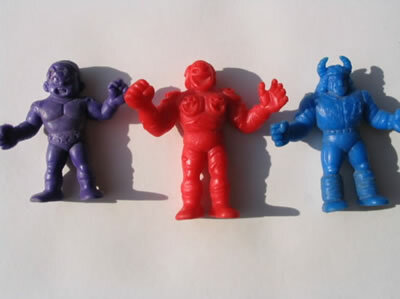 It is fun to see M.U.S.C.L.E. figures awash in this blog’s sea of treasures. 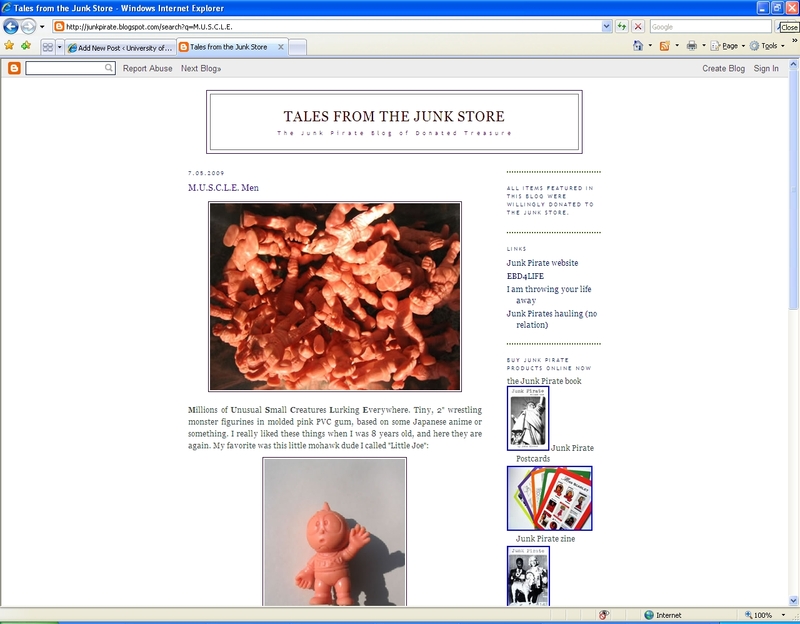 It is a fun and interesting blog with a fun and interesting M.U.S.C.L.E. entry – even if it does fill M.U.S.C.L.E. collectors with the need to start frequenting junk shops. This entry was posted on Wednesday, November 25th, 2009 and is filed under UofM News. You can follow any responses to this entry through RSS 2.0. You can skip to the end and leave a response. Pinging is currently not allowed. Website Review #11 « University of M.U.S.C.L.E.